The Maldives is renowned for its astounding tropical weather and its stunning beaches, which offer tourists the getaway of a lifetime. The shimmering white sands, turquoise waters and soothing atmosphere will provide you with an opportunity to unwind and rejuvenate yourself. Malé and its surrounding islands are the ideal destination for a relaxing holiday filled with ample rest, tranquillity and adventure. Those seeking an escape from their stressful lives can now enjoy affordable and convenient trips to Malé with Mihin Lanka. Mihin Lanka is now offering three weekly flights between Malé and Colombo, which operate every Tuesday, Thursday and Sunday from Bandaranaike International Airport. Mihin Lanka has been operational since 2007, and has evolved over the years to become one of the most reputed travel brands in the region that is renowned for truly understanding and caring for its passengers. Mihin Lanka recommenced flight operations to Malé on 12 November 2015 and the three weekly flights will provide travellers with quick and easy access to an idyllic getaway in Malé and the rest of the Maldives. Explore the picturesque islands of the Maldives: Malé is the bustling capital city and thriving economic epicentre of the Maldives. 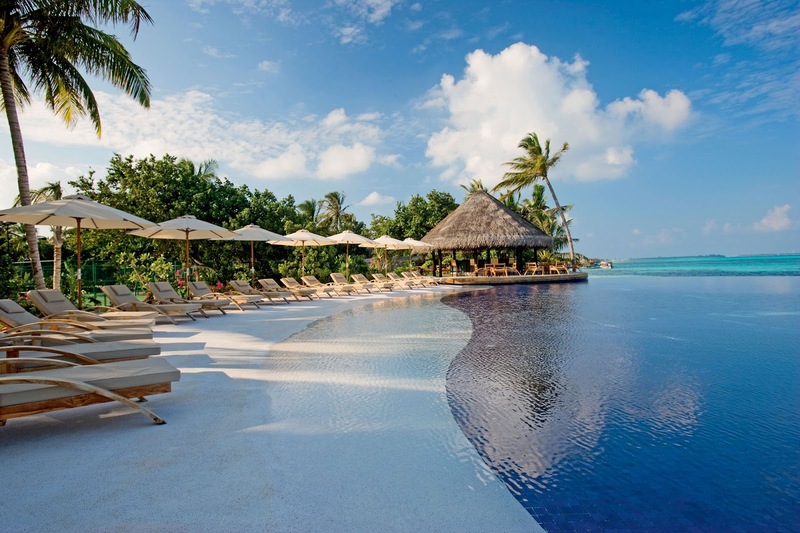 The Maldives is home to some of the best beaches in the world, which have beautiful white sands and clear waters. The North and South Malé atolls are home to many of the country’s most famous and best-established resorts, and all the islands there are within easy reach of the capital city of Malé. Hulumale is the most recent addition to new beaches in the Maldives and is a reclaimed Island connected to the airport by land. Hulumale offers a range of accommodation options and offer access to a scenic beach and a variety of watersports. A diverse range of adventure based activities: All hotels and resorts in the Maldives provide travellers with the opportunity to experience a wide range of water sports and adventure based activities. Peaceful and quiet beaches, surrounded by nature make the Maldives an ideal destination for you to enjoy some rest as well as some exciting activities. The waters of the Maldives are inhabited by a rich array of aquatic life, providing snorkelers and divers with the chance to encounter sea turtles, manta rays and a variety of marine fish. . You can also enjoy exhilarating activities such as water skiing and parasailing, which will give you a unique glimpse of the beautiful beaches and resorts. History, art and architecture: The Maldives has a rich history and it is believed that its islands served as a trading junction for many ancient civilizations. 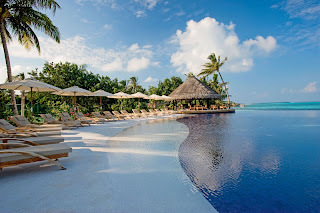 The Maldives is famous for its cowry trade and today its fusion of cultures and religions such as Islam and Buddhism are evident in its art and architecture. The Old Friday Mosque is one of the oldest religious sites in the country and dates back to 1656. The interiors feature elaborate wood carvings and similar intricate workings can be found on the nearby small buildings which are family mausoleums. The National Museum in Malé also contains an extensive collection of historic artefacts that show the history of the many islands in the Maldives. Dine like a king: Maldivian cuisine often features ingredients such as fish, rice as well as other starches and coconuts. The cuisine of the Maldives has many foreign influences and therefore has distinct flavours and a unique culinary identity. Maldivians usually include a fish dish in their meals every day, which is either dried, steamed or prepared with a fusion of spices. You can experience the unique cuisine of the Maldives for yourself at a variety of local restaurants which offer both fine dining and more casual dining experiences as well. Since its launch in 2007, Mihin Lanka has come a long way, becoming one of the region’s most admired travel brands. In 2015, Mihin Lanka was ranked by Skytrax as the third best low-cost airline in Central Asia and India. The Skytrax Awards programme established in 1999, surveys 18.9 million airline passengers in 110 countries and bases its rankings on product quality and staff service standards. Mihin Lanka plays a crucial role in supporting regional connectivity, and recently enhanced its offering by introducing its new Business Class service. Mihin Lanka services corporate, business, pilgrim, and leisure travellers, by providing convenient direct flights to key destinations across the Indian Subcontinent, Asia and the Middle East. These destinations include Dhaka in Bangladesh and Jakarta in Indonesia as well as Madurai, Kolkata, Chennai, Gaya and Varanasi in India. The airline also flies to Bahrain and Muscat in the Middle East. Mihin Lanka also flies to Lahore in Pakistan, Mahé in the Seychelles and Malé in the Maldives. Mihin Lanka also offers connectivity to a further 20 destinations with its code share partner Sri Lankan Airlines.